Big Picture Natural World Photography Competition Finalist! I am honored to announce that my Pampas Cat picture is a finalist in the terrestrial wildlife category in the Big Picture Natural World Photography Competition, organized by the California Academy of Sciences. Congratulations to all the winners and finalists of this years competition! I would like to especially congratulate Nayan Khanolkar for the coolest camera trap shot of a leopard I have ever seen and Pete Oxford, who is the definition of a conservation photographer, and a personal hero of mine. Finally, you will be able to see all the pictures in person starting July 29th, 2106. I hope you are able to! 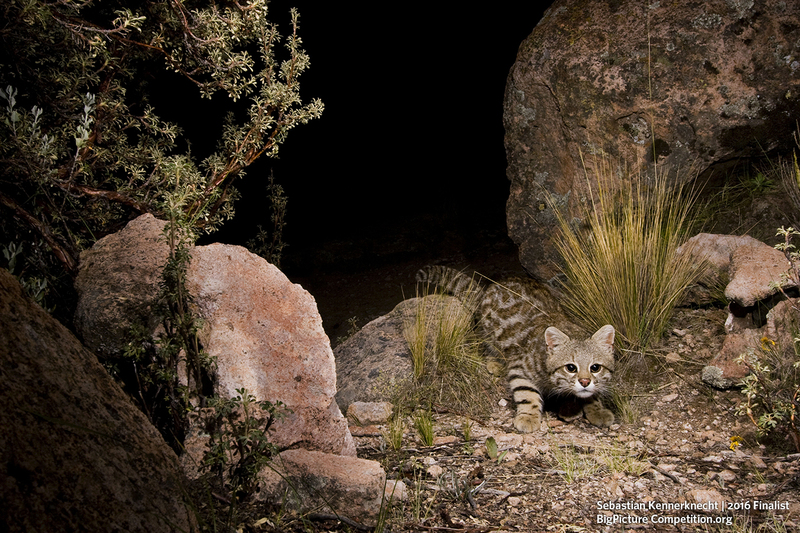 This Pampas Cat photograph was taken as part of the Cat in Thin Air project and would not be possible without the help of the Andean Cat Alliance, Juan Carlos Huaranca Ariste, Alejandra Rocio Torrez Tarqui, and Ma Lilian Villalba. Thank you to all of you!